Looking for a vehicle that can keep up with your large and busy family? Tired of being forced to choose between style and comfort? If so, prepare yourself for an awesome new world, because there has never been a family vehicle quite like the 2017 Sienna. Let’s take a closer look at what this highly impressive Toyota is all about, shall we? 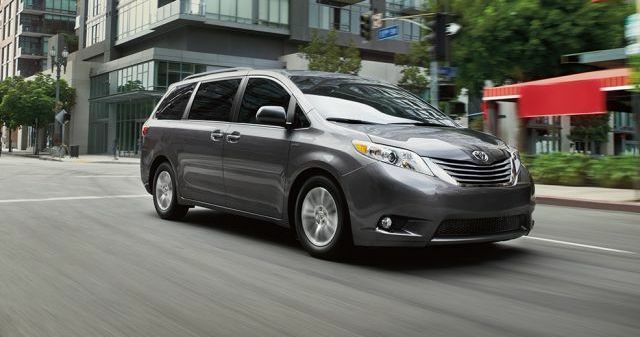 The only vehicle worth piling your family into is one that is safe and you won’t find any safer than the new Sienna. Toyota’s Star Safety System comes standard (including 6 advanced driver safety technologies) and a suite of strategically positioned airbags will protect you and your loved ones from every angle. Enhanced Vehicle Stability Control (VSC) co-ordinates your ride’s Brake Assist, Traction Control and ABS systems for maximum effect, and every Sienna model features a user-friendly rear view camera as well. With a 3.5L V6 under the hood that boasts Dual Variable Valve Timing with Intelligence and an electronically controlled 8-speed transmission, your new Sienna will be ready for any challenge your family throws its way. Not only does it offer 269 horsepower and 263 lb/ft. of torque, this savvy ride is also designed to make the most of every drop of fuel, with Front Wheel Drive models requiring just 10.9L/100km (combined) and AWD models need only slightly more at 11.7L/100km (combined). Getting your mob from A to B has never been more fun, as this spacious 7 or 8 seater is designed to make every drive relaxing, comfortable and enjoyable. It all starts with the Sienna’s fully adjustable captain’s chair, which boasts long, wide and luxurious cushioning, while soft touch materials are incorporated right throughout the vehicle. Both the 2nd and 3rd row seating can be accessed with just the push of a button; there is ample head, leg and shoulder room for all on board, and the three zone climate control system will ensure that everyone is just the right temperature. Want to make your ride a little extra special? Toyota has you covered, as available upgrades include everything from a power moonroof to rain-sensing wipers right through to a Dual-View Rear Seat Blu-ray Entertainment System. You can even have your Sienna equipped with Toyota’s Smart Key System that lets you lock or unlock your vehicle simply by touching the handle, perfect for times when you’ve got your arms full with kids or groceries. 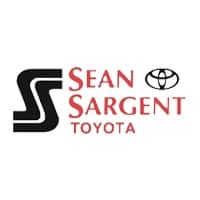 Here at Sargent Toyota we know that getting your family everywhere it needs to go can require a herculean effort, which is why we are proud to offer a wide range of new and used vehicles that make doing so easy. Drop by and find your perfect ride today here at 10625 117 Ave Grande Prairie.